I enjoyed the interview and the book looks very interesting. I follow the blog through email. Hi Carol! Thank you so much for your comment and for following my blog! It looks like a great story. I follow your blog by email and I shared via twitter. Hi Becky! Thanks so much for your comment. AN APPLE FOR CHRISTMAS is a wonderful story! I appreciate you following my blog and sharing the giveaway! Becky, I’d love to see your kids take up writing. 🙂 It sounds like you are an author as well. Thanks for your interest. D.K., oh, nothing like apples and cinnamon . . .expect your mouth to water when you read Apple for Christmas. This sounds like a great book. I love the tidbit about the elephants. I follow your blog. Susan, that’s one of my favorites as well. Thanks for the interesting interview, Darlene and Britney!! 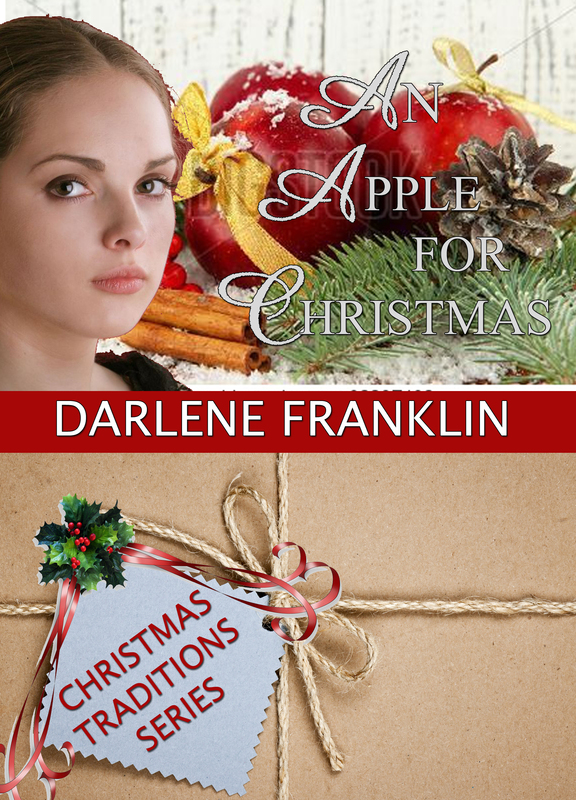 I already have “An Apple For Christmas” and loved it – an unusual story with a lot of warmth!! It seems we have a lot of shared interests, Darlene – singing, playing the piano, books, reality TV, fellowship with friends, apples (especially McDonald’s apple pies), and I certainly relate to being divorced while raising problem teenagers!! Thanks, Bonnie! Hopefully we will become better friends over the years. Wow! What an inspiration! I can’t wait to read your book and will look on Amazon for others. Love apples . . . Gala are my new favorite but Fugi are a close second. Blessings to you. Oops for got my email addy well maybe it got it but I don’t think so. Again thanks for sharing your story and blessings to you. I wish I knew how to make great pie crust so I could make apple pie. Oh, I love to eat apples in an applewich with peanut butter and honey in between two slices or if I just can’t wait . . . just cut it up and dip it! : ) Thanks! A lot of wonderful varieties these days. Applewhich. . .if only my teeth could chew it. I just joined your blog this weekend and received the e-mail with interview today. Darlene, I love your apple tie-in’s and New England flavor. Thanx for the giveaway! Thanks, Jennifer. I grew up in New England and love the setting. This looks really good! I would love to read it. Yes, I follow your blog! Sonja, thanks for stopping by. I would love to win this book! I am hoping to collect all of the novellas in this series!!! Ty for the interview!!! I am a subscriber via email, a blog follower, and like on Facebook both the blog and the author!!! I ❤ Buzzing About Books!!! Hi Christi, good to meet you and thanks for your interest. I love Christmas stories of any kind and I love McDonald’s apple pies too! They satisfy my urging for an apple pie without having an entire pie left. . . I do enjoy Christmas stories, I follow..
Christmas stories can be very satisfying, can’t they? Before I started writing them, I wondered where all the ideas came from. Now I see them everywhere I turn. Hi Darlene! what a “delicious” sounding book! I am so anxious to read it! 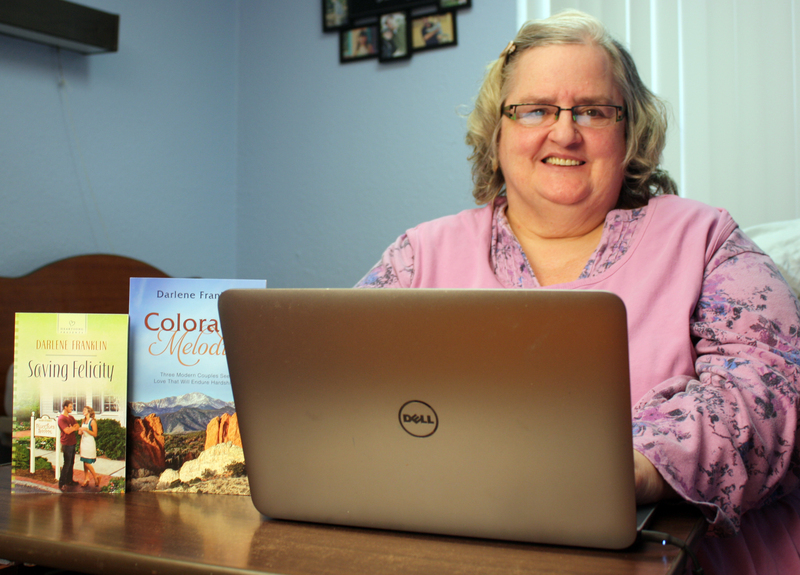 I appreciate the opportunity to enter your Aurora Golden Gala giveaway and would be honored to be a winner! Sweet Bramley!!!! I truly enjoyed your interview and was so happy to learn you did somethng so very “Chelmsford Wonder”ful with your life after divorce, instead of wasting it like so many of us women do! It is a Chiver’s Delight to like and follow you on the web sites, receive your blogs and notices via e-mail as well as to share you and your awesome giveaway with friends and the public. Look’s like we may have a Dudley Winter so having An Apple for Christmas to read, while sipping on a nice cup of hot Egremont Russet nutty flavoured cider, would be Sweet!! Thanks again and God’s Blessings!! What a very clever way of using different apple varieties. . . . I love Christmas stories! Follow on Facebook.